To be acknowledged as an excellent department, offering quality education in the field of Electronics and Communication Engineering and with a research focus in tune with the advancing technological developments and changing cultural challenges that caters to the needs of the public. 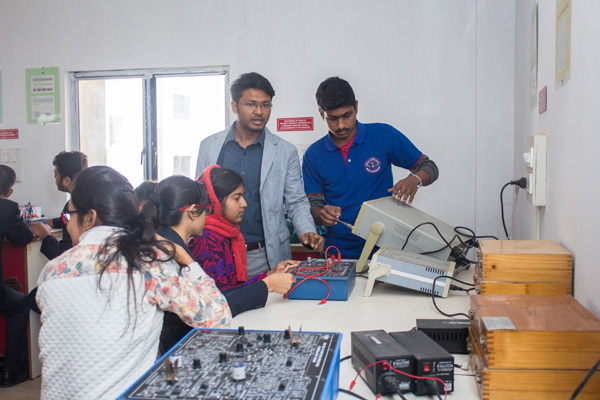 To establish a unique learning environment to enable the students to face the challenges of the Electronics and Communication Engineering field. To encourage the establishment of centres of excellence in related technology areas, to nurture the spirit of innovation and creativity among faculty and students and also provide a framework for promoting collaborative and multidisciplinary activities. To develop skills among students so that they can solve complex technological problems of the present times.